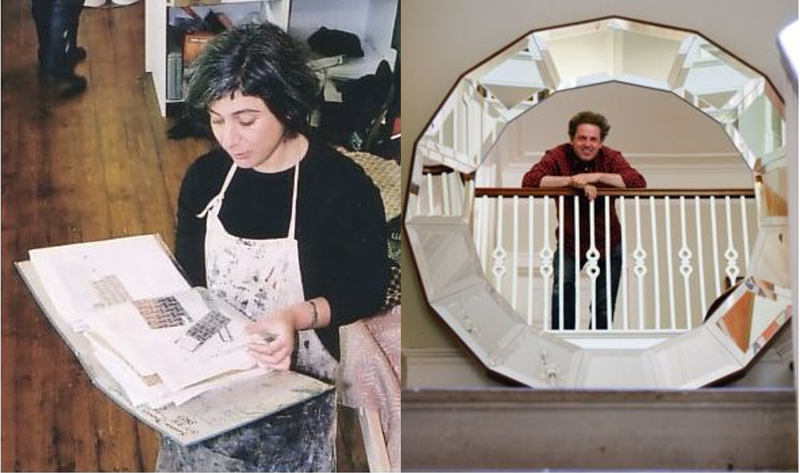 British design duo Yiolanda Christou and Jonathan Knowles founded Knowles and Christou in 1992 where they started to design a unique collection of classic bespoke furniture, wallpaper and fabrics. Each of their designs uses a hands on approach, a zeal of experimenting plus a hint of stubbornness. Their distinctive furniture is clad in their printed glass or their intaglio gesso finish and their in-house, hand painted wallpapers and fabrics show no rules restricting depth of colour, repeat and finish. With their own small team in the foothills of the Black Mountains, they design and produce everything from start to finish.